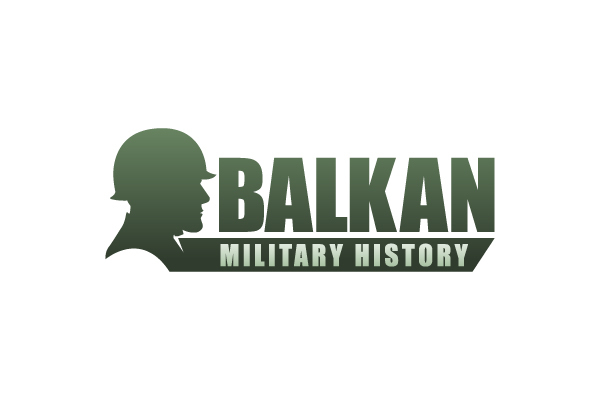 In this section we include a range of feature articles on different aspects of Balkan Military History. Many of these articles have appeared in a revised form in military history and wargaming journals. The articles are in chronological order. Dyrrachion 1081. Normans invade the Balkans. Includes photos and WAB army lists from the GDWS demonstration game at Wappinshaw 2005. Manolada 1316. Louis of Burgundy and Ferdinand of Majorca contest the Latin lands in the Morea in Greece. Kosovo 1389. The battle of Kosovo Polje (Plain of Blackbirds) was fought between the Ottoman and Serbian armies on 28 June 1389. This article gives an overview of the battle with photographs of the battlefield today. Castles on the Danube. A pictorial tour down the Danube in modern day Serbia featuring a number of castles and fortresses. Doboj 1415. Battle between Hungarian forces and Bosnians with Ottoman allies. The Uskoks. Late 16th and early 17th century Dalmatian pirates. Includes a DBR army list and figures from the Old Glory range. Siege of Klis.The epic siege of the Uskok castle in modern day Croatia by the Ottomans in 1536-37. Together with pictures of the castle today. Eugene in the Balkans. Prince Eugene of Savoy and his early Balkan campaign including the Battle of Zenta 1697. Moldavian Surprise. Great Northern War continuation struggle in Moldavia 1711. Militargrenze. The military border between Croatia and Bosnia with an adaptation for 'Musket and Tomahawk' wargame rules. The Zadruga. A look at the households that formed the basis of the military border. Austro-Turkish War 1737-39. Bosnia and the Austro-Turkish War 1737-39 including the decisive battle of Banja Luka. The Second Serbian Uprising of 1815. Ali PashaThe story of Ali Pasha of Jannina who governed most of northern Greece and Albania in the early 19th century. With pictures of his castle today. Ottoman Army 1826. A look at the Ottoman army during the Greek War of Independence with alternative PoW army lists and pictures from the editor's collection. Shipka Pass. Epic action of the Russo-Turkish War of 1877-78. Russian troops hold the pass against repeated Ottoman attacks. Includes pictures of the battlefield today. Slivnitsa 1885. The decisive battle of the Servo-Bulgarian War of 1885 together with pictures of the battlefield today. Kumanovo 1912. Serbia against the Ottoman Empire in this First Balkan War battle fought in modern Macedonia. Pictures of the battlefield today. Kajmakcalan 1916. Key position in the Bulgarian line facing the allied 1916 offensive in Macedonia. Rare pictures from the battlefield today because it is in a restricted military zone. War Flying in Macedonia. Air war in the WW1 Macedonian campaign with period photo's from the German aviator Captain Heydemarck’s memoirs War Flying in Macedonia. Blunder in the Mountains. The story of the Italian invasion of Greece in 1940 with orbats, battlefield and wargame pictures. Knight's Move. Operation Rösselsprung the combined airborne and ground assault by the Germans on Tito’s headquarters at the Bosnian town of Drvar in May 1944. ​Adriatic Cruel Seas - Coastal warfare amongst the islands of the Adriatic in WW2. ​Transnistrian War 1992 - Modern conflict on the edge of the Balkans. Balkan Military History. Covering the history of the Balkans since 1997.